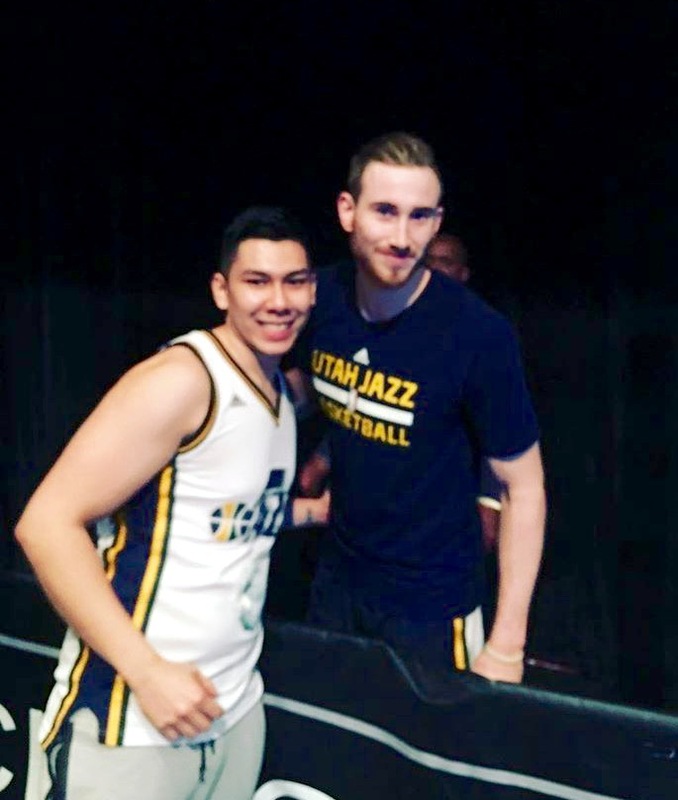 Instagram handle @josmansuri provides iFolloSports.com with this photo of him and Jazz guard/forward Gordon Hayward. The photo was gathered at the Target Center in Minneapolis last week, prior to a Jazz vs. Timberwolves game. Hayward became famous after his great play in the 2010 NCAA Tournament, leading Cinderella Butler to the NCAA Championship Game and coming up just short of beating heavily favored Duke. Since being drafted by the Jazz in 2010, the Indianapolis native has flown a bit under the radar while playing in Utah, but is actually putting together a nice career. This season, the 26-year-old is averaging 19.6 points and 4.8 rebounds for a Jazz team that is currently in a three-way tie for the seventh and eighth playoff spots in the Western Conference. In 2014, Utah matched a four-year/$63 million offer sheet the Charlotte Hornets made to the then restricted free agent Hayward.